Introducing the UVPhotoMAX Signature Series Whole House Advanced Oxidation Air Purifier for HVAC Systems. One good thing leads to another. 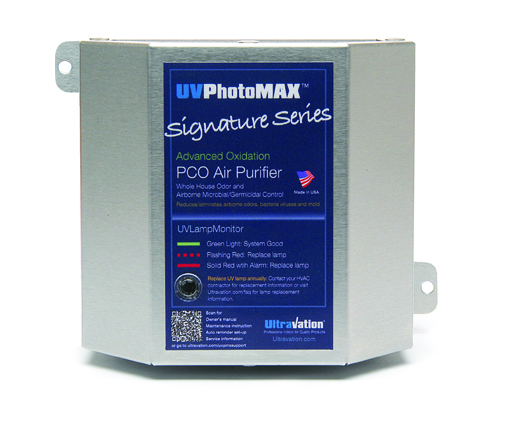 The success of the Ultravation UVPhotoMAX whole house advanced oxidation air purifier was the inspiration for the new UVPhotoMAX Signature Series. Ultravation's part owner and chief engineer Bill Fowler personally pulled out all the stops to make it much lighter, totally modular with a very small footprint, and 24-240 VAC Smart-Power. 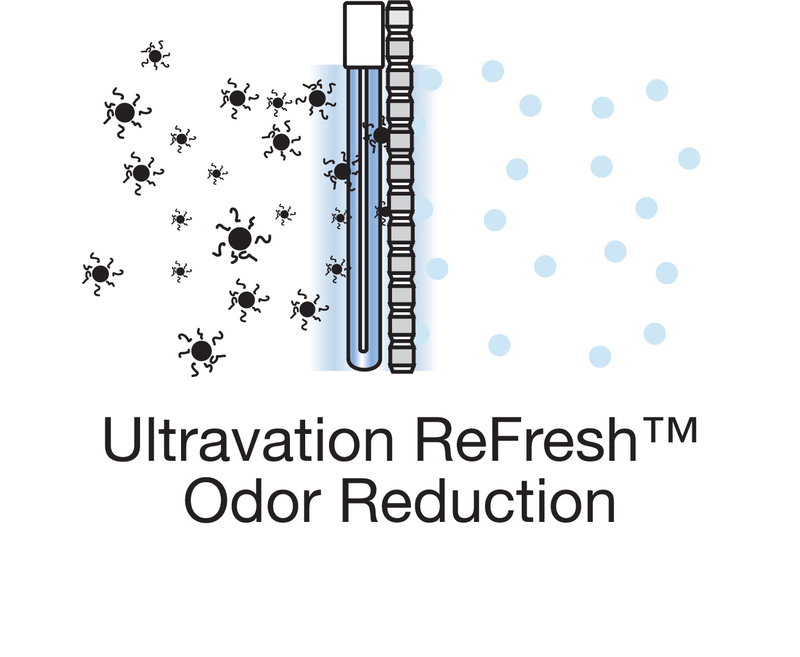 This means the Signature Series is even easier to install, easier to service, and of course destroys odors and kills germs better than ever! UVPhotoMAX Signature Series with EZ-Light™ option for HVAC coil and interior surface. EZ-Light™ recommended option keeps coil clear of mold and other bio-contamination. It is a UV light that plugs directly into the UVPhotoMAX Signature Series and installs at the HVAC coil. 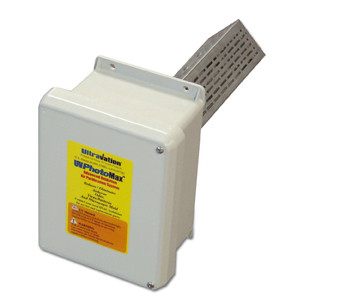 It keeps mold from growing on wet HVAC components inside the system — often a major source of household mold. 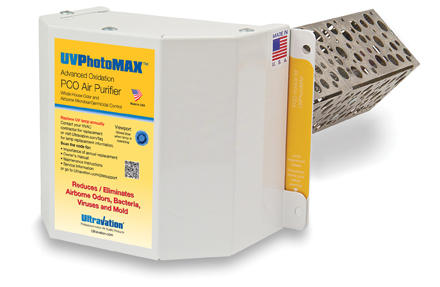 Great help for allergy sufferers and saves energy by keeping the coil clean! 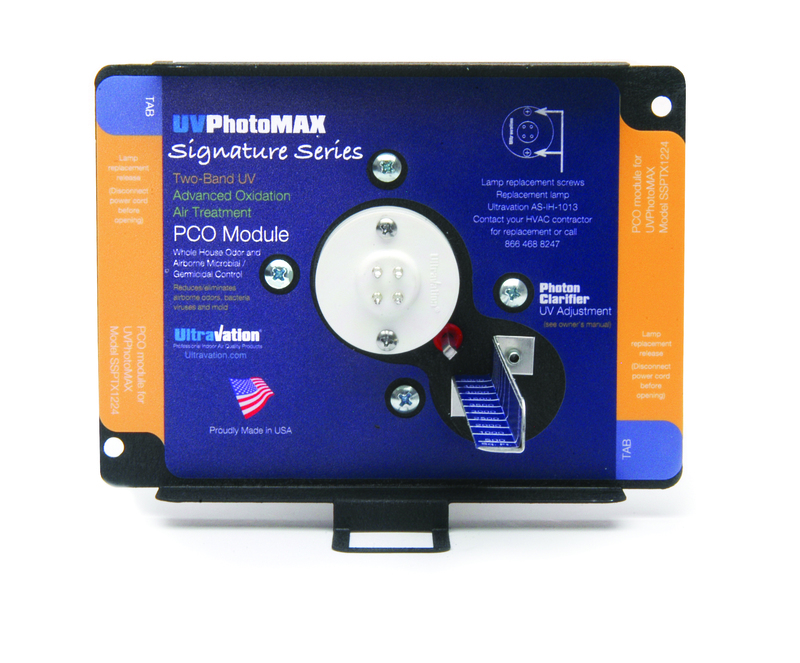 UVPhotoMAX Signature Series view of the Electronic Control Module. 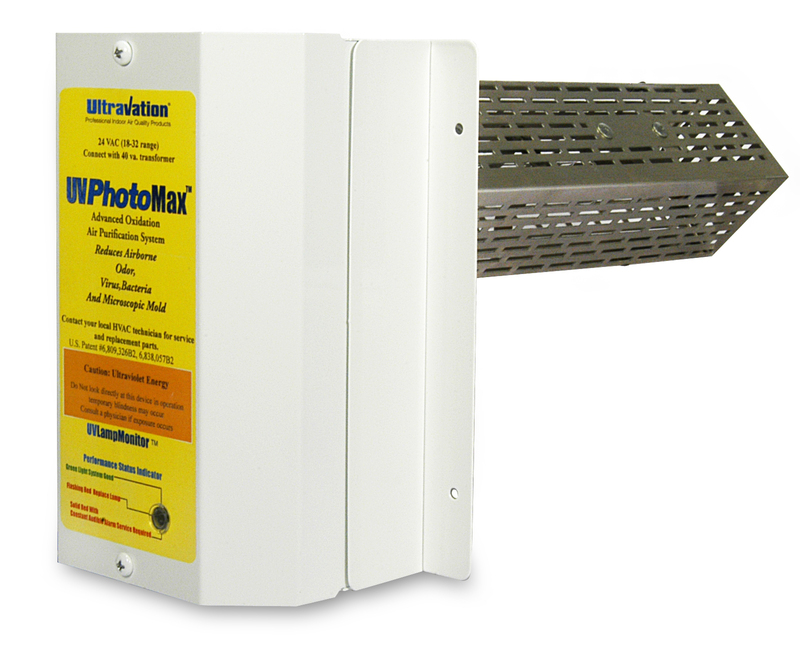 UVPhotoMAX Signature Series view of the mounting plate. UVPhotoMAX Signature Series - Photon Clarifier UV Adjustment - calibrated in sq. ft. or CFM. 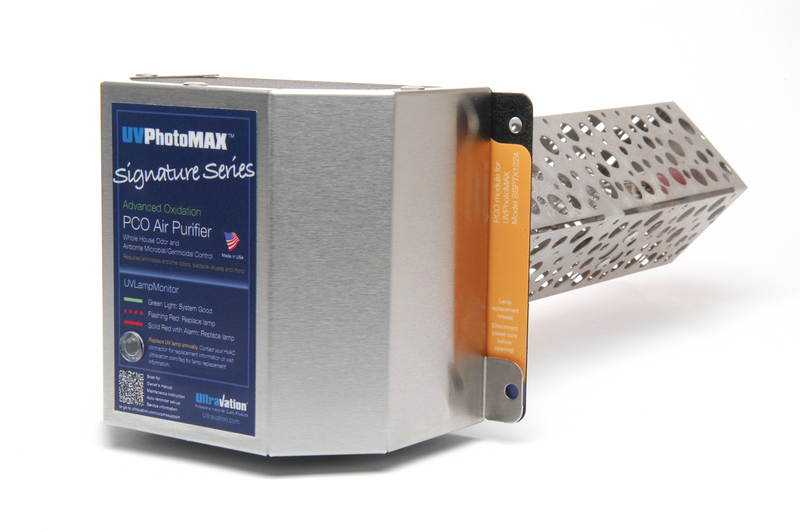 Whole House Air Purification System that includes new adjustable advanced oxidation system combined with ReFresh Photocatalyst odor reduction. UVLampMonitor and optional EZ-UV light for HVAC surface irradiation. 24 VAC operation. 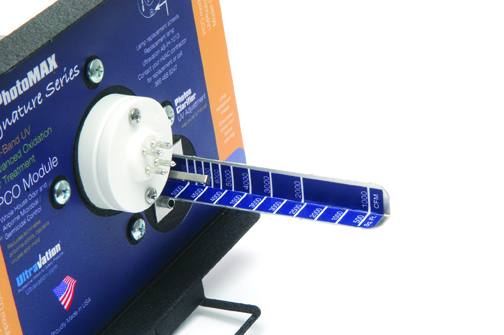 Basic unit shown without EZ lamp or ductboard adapter. 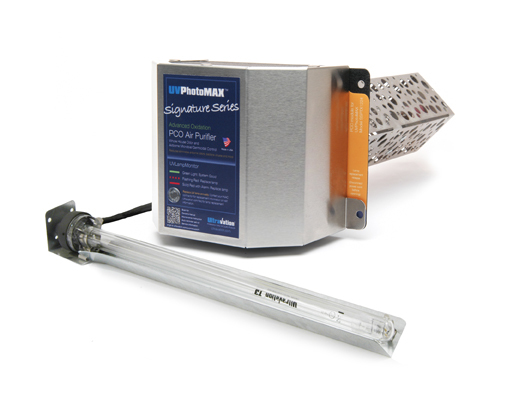 The PT4X-Series is designed to be used in rooftop, packaged systems or other outdoor application. The cabinets are fiberglass and weather tight for outdoor use. Dry contacts provide interface with remote monitoring devices. At left are the UVPhotoMAX™ Signature Series logos for download. Usage of each file is noted below sample image at left. If you need an image with higher resolution or have other needs, you may contact us at . At left are the UVPhotoMAX™ logos for download. Usage of each file is noted below sample image at left. If you need an image with higher resolution or have other needs, you may contact us at . 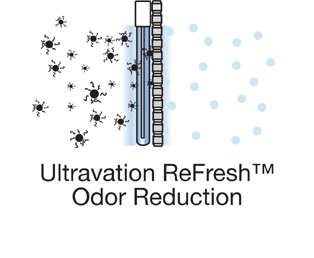 Illustration of photocatalytic process with complex odor molecules broken down into harmless and odorless components. 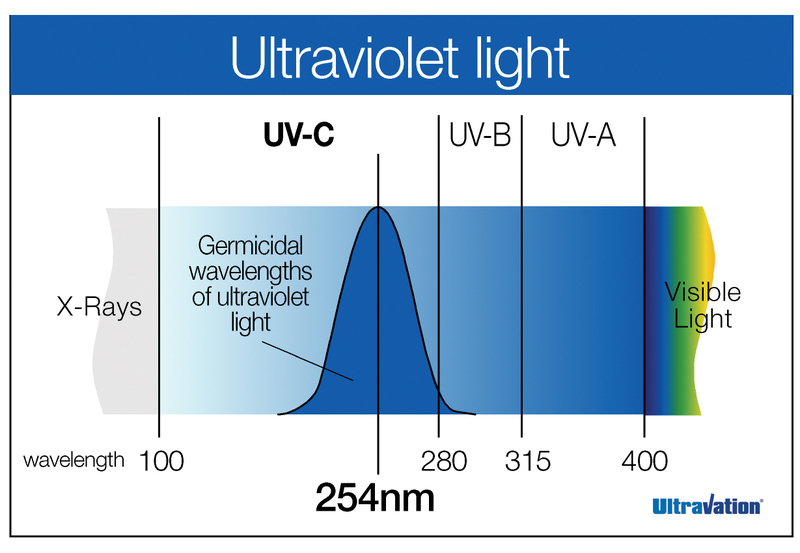 Illustration/graph of germicidal frequencies of UV-C light.